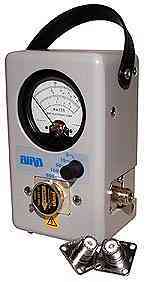 Bird Model 43P Thruline(c) Wattmeter, accuracy +/- 5%. 450 kHz to 2.7 GHz 100 mW to 10 kW. Elements sold separately. The Bird Model 43 is the industry standard for power measurements with a wide selection of elements available to cover a wide choice of frequency ranges and power ranges. Every meter and element is tested before shipment. 100% Satisfaction is our guarantee so you can buy with confidence. Specify Type N or UHF (SO-239) connectors in the comment field during checkout. Type N connectors are standard. Elements are sold separately. 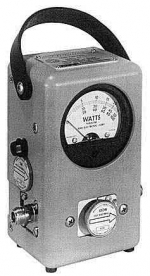 Bird Model 43 Thruline(c) Wattmeter, accuracy +/- 5%. 450 kHz to 2.7 GHz 100 mW to 10 kW. Elements sold separately. The Bird Model 43 is the industry standard for power measurements with a wide selection of elements available to cover a wide choice of frequency ranges and power ranges. Every meter and element is tested before shipment. 100% Satisfaction is our guarantee so you can buy with confidence. Specify Type N or UHF (SO-239) connectors in the comment field during checkout. Type N connectors are standard. Elements are sold separately. Optional upgrade to 50W load under "Options". 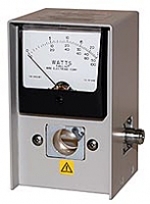 The Bird Model 43 is the industry standard for power measurements with a wide selection of elements available to cover a wide choice of frequency ranges and power ranges. Every meter and element is tested before shipment. 100% Satisfaction is our guarantee so you can buy with confidence. Specify Type N or UHF connectors in the comment field during checkout. 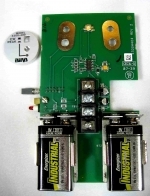 Select from our large inventory of elements for the frequency and power range you require. 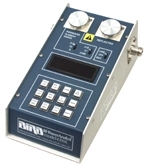 RF Tap (BNC) for Frequecy Counter, Spectrum Analyzer, etc..
Nominal Size [inches (mm)] 6-7/8" x 5-1/8" x 3-5/8"
Uses Model 43 elements and has an adjustable RF Sampling port BNC(F). Connect attenuated output directly to Scope, Frequency Counter, etc.. 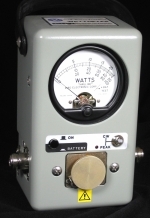 Same specifications and elements as Bird Model 43 wattmeters. Elements are sold separately. The Bird Model 43 is the industry standard for power measurements with a wide selection of elements available to cover a wide choice of frequency ranges and power ranges. Every meter and element is tested before shipment. 100% Satisfaction is our guarantee so you can buy with confidence. Specify Type N or UHF connectors in the comment field during checkout. Select from our large inventory of plug in elements for the frequency and power range you require. 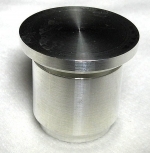 Replacement element for the Bird 4304A Wattmeter. This element is for use in the Bird 4304A and 4304 Wattmeters. 4391M Thruline RF Power Analyst 0.45 MHz to 2.5 GHz (elements sold separately). 1 W to 10 kW. Uses the same plug-in elements as the Model 43. 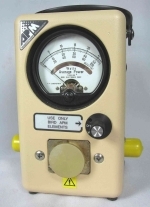 PEP, Dual element, LED, Portable Wattmeter. Bright LED Display, Long-stroke keyboard and range switches. Built-In 110V/220V AC Power Supply and Charger. Internal battery pack for portable use. The Model 4391A is a Rugged RF Power Analyst that monitors Peak Pulse Power, Peak Envelope Power, or CW Power during normal equipment operations in the forward or reflected direction. Designed for air navigational aids DME, ATC and other pulsed RF systems such as telemetry, radar, commandand control, etc. 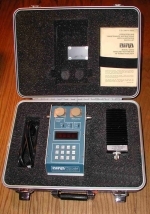 Package includes Wattmeter, RF Load, rugged HD carry case, 117 AC Power cord and manuals (as pictured). 4391M is military version of the 4391A. Same as Model 43, with a fixed RF tap for monitoring your signal with a scope or frequency counter. RF sampling is fixed (no adjustment knob on meter front). BNC on the side provides attenuated RF output. Uses standard Model 43 elements sold separately. Used in excellent condition. The Model 4391A is a Rugged RF Power Analyst that monitors Peak Pulse Power, Peak Envelope Power, or CW Power during normal equipment operations in the forward or reflected direction. Designed for air navigational aids DME, ATC and other pulsed RF systems such as telemetry, radar, command and control, etc. 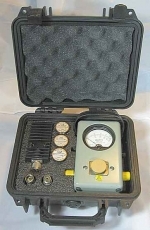 Package includes Wattmeter, RF Load, rugged HD carry case, 117 AC Power cord and manuals (as pictured). 4391M is military ruggedized version of the 4391A. New Condition, New Old Stock, Full One Year Warranty. 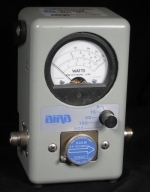 The 4305(A) Wattmeter is a field-proven portable, insertion-type instrument designed to measure both forward and reflected CW power in coaxial transmission lines under any load condition. With a full-scale accuracy of +/- 5%, it accurately measures RF power with low added VSWR and insertion loss. QC (quick change) type connectors and a full range of plug-in elements provide a wide choice of frequency ranges and power levels. Internal 115/220 VAC supply and rechargeable battery pack.